In our global world it is important to cover auditory as much as possible to attract more customers and increase sales. 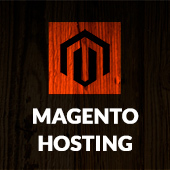 Magento store engine provides great tool for it – multiple websites, stores and store view. With use of it you can create multilingual store, multiple stores for specific target audience, selected product categories and brand. 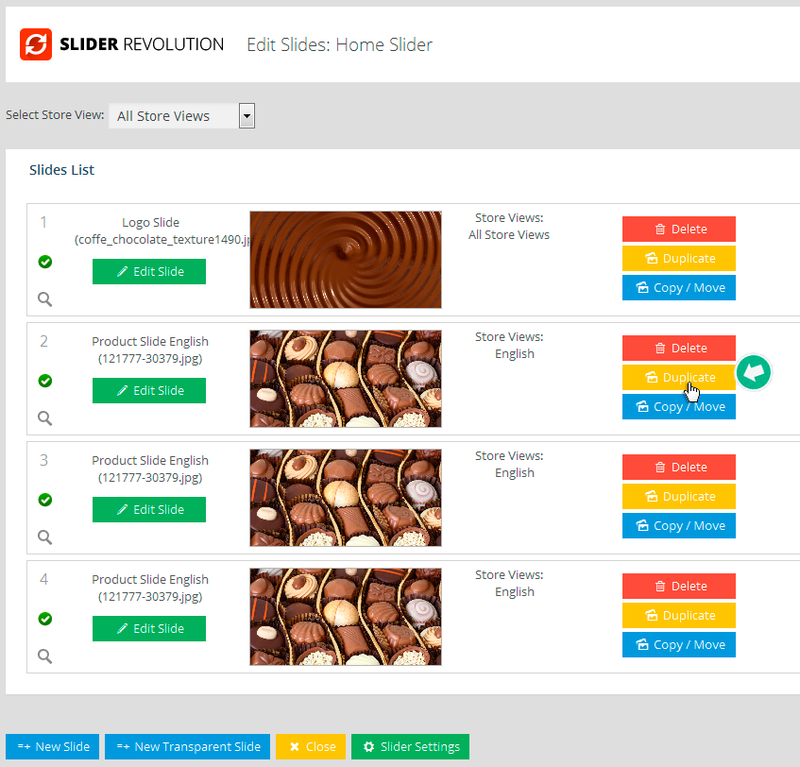 Our Revolution Slider Extension for Magento allows store owners and Magento developers to combine power of multiple store view with attractive presentation of slider media. In this article we will give you step by step example of creating Revolution Slideshow for multiple store views to see how easy it is. We will use default Magento installation with sample data that will have 3 language store views: English, French and German. 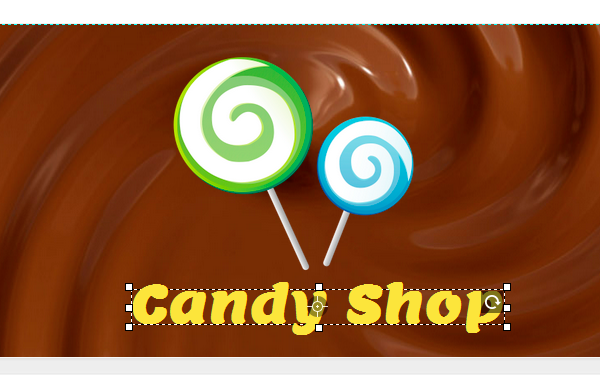 Lets create sample slider for fiction Candy Shop company. Create a new slider and give it name and alias. First slide will simply consist of company logo and background. It will be common for all store views. Second slide will contain product name and price as well as language specific flag icon. Lets create English version first. In this step we add all needed layers and in Store View dropdown uncheck All Store Views option and check English option. 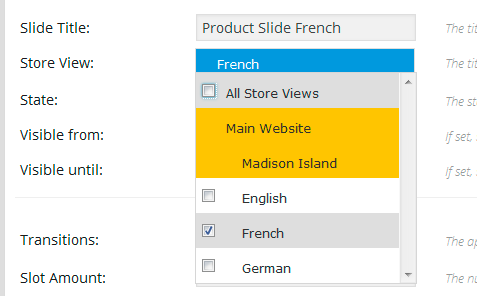 Edit first copy of product slide and in Store View dropdown uncheck English option and check French option instead. Then lets replace appropriate product name and price text and language flag icon to French one. 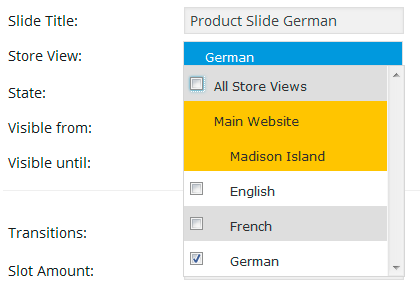 Edit second copy of product slide and in Store View dropdown uncheck English option and check German option instead. Then lets replace appropriate product name and price text and language flag icon to German one. This slide will present special offer for ordering to Germany and France so it will be displayed in both French and German version, but not in English one. 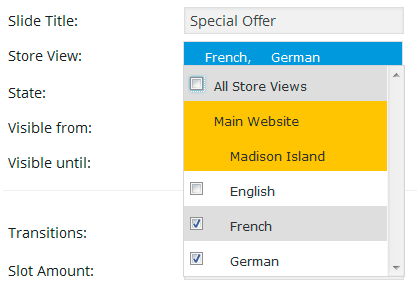 Lets uncheck All Store Views and check French and German instead. Then create all layers we need and save this slide. 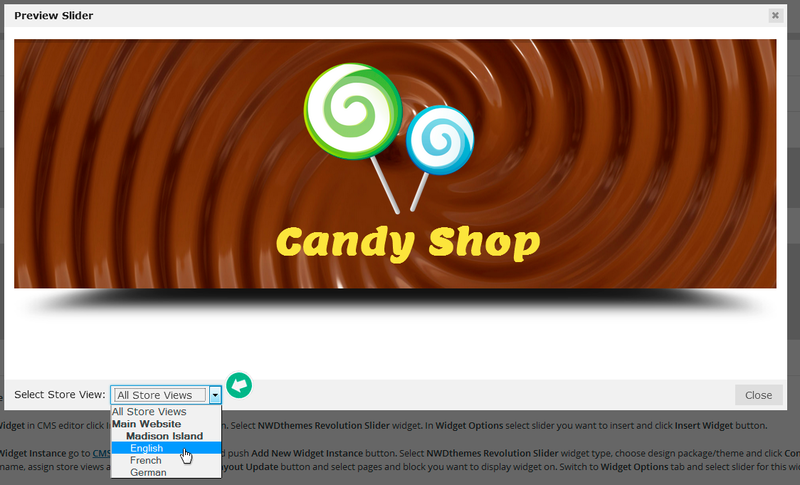 We can see how slider will act on different store view when preview it in admin. Just choose appropriate option in store view selector in bottom left corner of preview dialog. 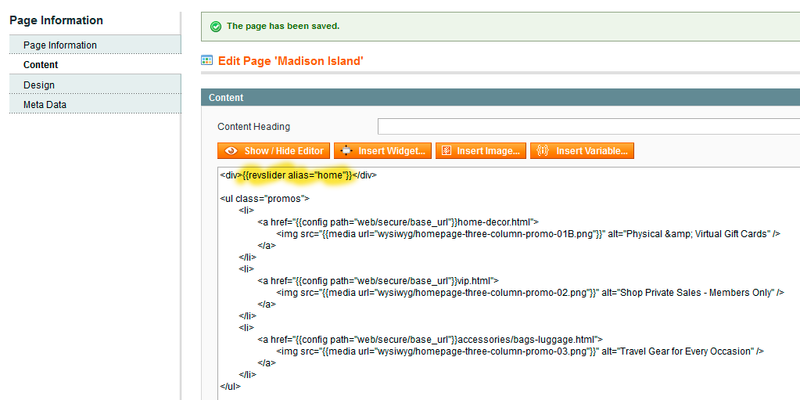 Now we can put our sliders shortcode into content of Magento home page in CMS editor. 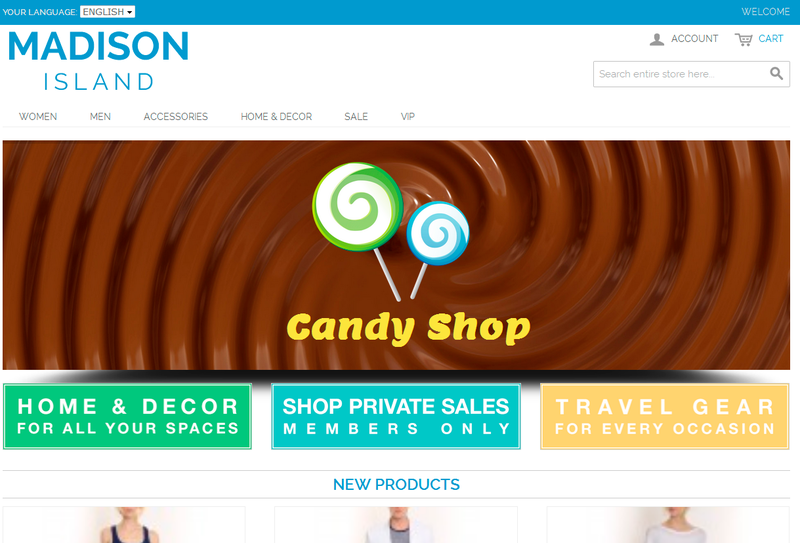 Lets visit home page of our store to see multiple language Revolution Slider for Magento in action. Play with language selector in header to see that our slider shows only appropriate slides depending of which store view is active currently. Hope this tutorial will be useful for you and your clients. 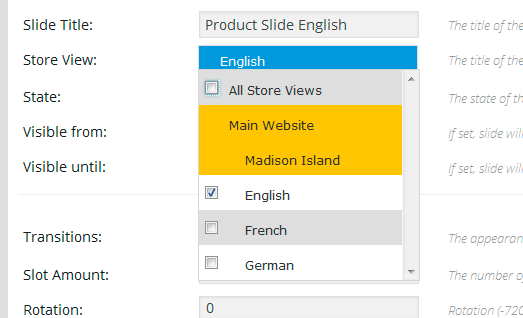 Here you can download sample multilingual slider we’ve created in our tutorial. Don’t forget to check our website for more info about Revolution Slider Extension for Magento and other products and articles. Do you have a working example of this as I am looking to purchase this? I would advise you to wait a bit. 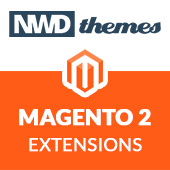 We are currently working on slider revolution for magento 2. It is in beta now and will be released soon.